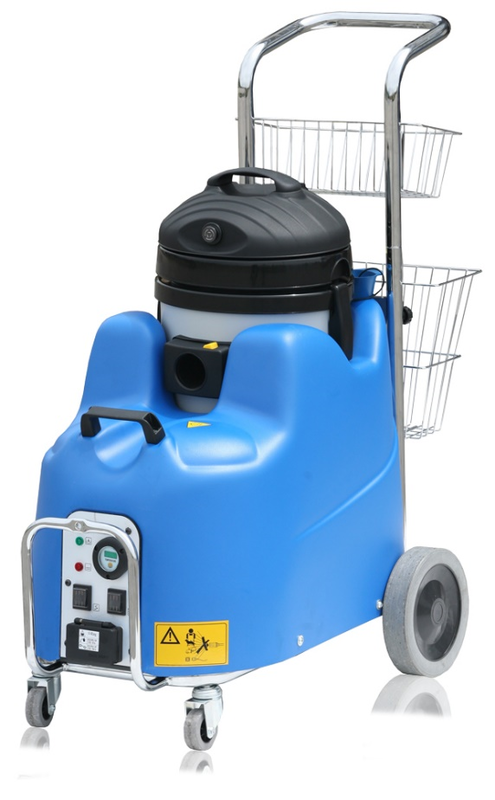 Easy, ecological cleaning action with disinfection and cleaning of the air thanks to the use of a special wet-dry vacuum system. 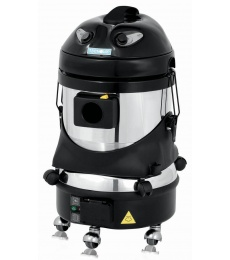 Vacuum system is designed to alleviate common respiratory allergies thanks to the use of a HEPA filter (High Efficiency Particulate Air) and a water type prefilter system. 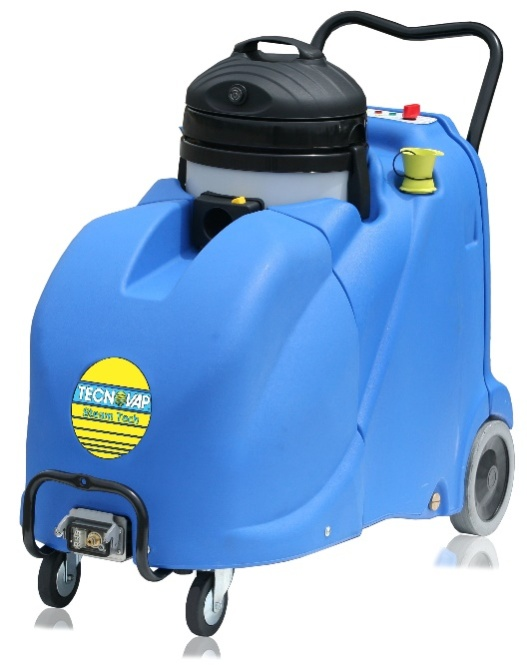 For washing & disinfecting all coverings including flooring tiles, grouting, walls, pipe, grills & most fixtures & upholstery. The only cleaning agent used is water which is turned into high temperature micro fine vapor giving total cleaning power without the use of potentially harmful chemicals. Mono-phase steam generator with automatic refilling system with electromechanical water level control inside the boiler – True Temp, detergent injection, combined with a wet/dry vac equipped with a float. Digital device with pressure gauge and hour meter. Automatic refilling system and electromechanical water level control inside the boiler – Tru TempTM, Detergent Injection, Combined with a wet/dry vac equipped with a float. • The only cleaning agent used is water which is turned into high temperature micro fine vapor giving total cleaning power without the use of potentially harmful chemicals.